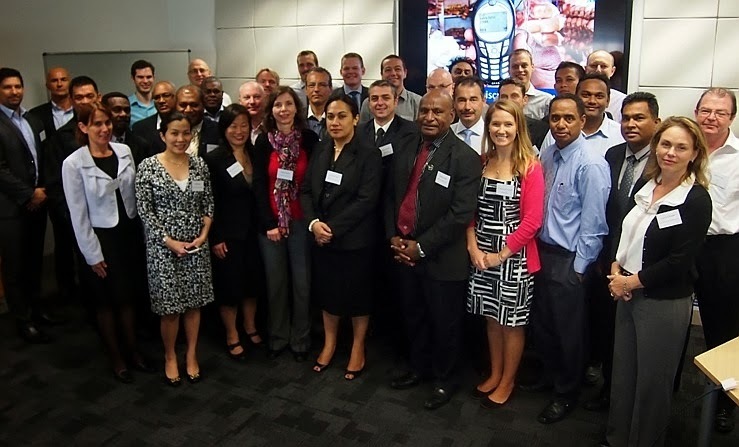 Pacific Central Banks won praise for their approach to mobile banking at the first-ever Pacific Branchless Banking Seminar, hosted earlier this month by ADB Sydney and sponsored by the Pacific Private Sector Development Initiative. As the take-up of mobile phones in the Pacific drives a revolution in financial inclusion, senior executives from six Pacific Central Banks were joined in Sydney by financial service providers, mobile network operators and technology providers from all over the region. Steve Rasmussen, Head of Technology at CGAP. Sessions highlighting successful approaches and best practices were facilitated by leading experts and practitioners, including Gane Simbe, (Deputy Governor of the Central Bank of Solomon Islands), Pia Roman (Head of Financial Inclusion at Bangko Sentral ng Pilipinas), and Steve Rasmussen (Head of Technology at the Consultative Group to Assist the Poor [CGAP]). 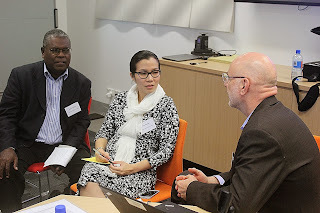 “With the vast majority of Pacific people still ‘unbanked,’ the uptake of mobile and branchless banking is proving the most effective means of extending access to formal financial services to all,” said Andrea Iffland, Regional Director of ADB's Sydney-based Pacific Liaison and Coordination Office, venue for the Seminar.